There was no shortage of interesting developments in the world of Gospel music in 2006. We made a list of some of the major happenings. What did we miss? Changes at GospoCentric The respected label out of California had a good year, with releases from New Direction, Dave Hollister, Kelly Price and a slew of compilations doing well. But with the label now part of the Zomba Music Group, and founders Vickie Mack Lataillade and Claude Lataillade recently out of the picture (and said to be establishing new ventures), GospoCentric has undergone some transition, with more to come, no doubt. Musical Chairs at Zomba / Verity Gospel's biggest entity, Verity Records, is now a certified monster, possessing the most impressive (and possibly the largest) artist roster in existence. Everyone from Donnie McClurkin to Hezekiah Walker, Fred Hammond, Deitrick Haddon, John P. Kee, The Canton Spirituals and several more (not to mention the entire GospoCentric roster, now that the label is also under the Zomba umbrella), call this group home. But changes have happened on top, with the departure of head honcho Max Seigal into the NASCAR industry, and the subsequent reinsertion of Jazzy Jordan as head of Zomba. Gospel Hip Hop Reaching Chart Prominence No longer the weak brother to contemporary and traditional Gospel, hip hop came into its own, with chart success largely thanks to Cross Movement Records, who released a string of critically acclaimed projects in 2005, leading to 2006 chartings. That includes their growing roster of artists (Lecrae, Michelle Bonilla, M.O.D.) who lie outside the label's flagship crew The Cross Movement. Mainstream Goes Gospel Not content with the usual one or two big mainstream names to release Gospel offerings, 2006 saw an impressive count do so: Coko, Patti Labelle, Tony Terry, Chante Moore & Kenny Lattimore, Kelly Price, Dave Hollister are among them. The Demise of Sony Gospel The recently launched Sony Gospel label, home to Mary, Mary, Tye Tribbett, Kim Burrell and others, was folded into Columbia Music late in 2006, throwing uncertainty into the music entity's commitment to Gospel. While Columbia has stated that they remain committed to the genre, with key executives such as Tara Griggs-Magee and Joseph Burney no longer in place, there's a lot up in the air. Where will their impressive artist roster end up? 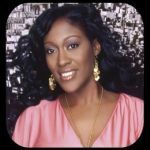 Juanita Bynum Unleashes Three Popular on the preaching circuit and now hitting her stride with audio releases, Juanita Bynum saturated the airwaves with an incredible three projects released in 2006. Her double disc My Passion, plus her Gospel Goes Classical set with Jonathan Butler made it two, and her Christmas album, Christmas at Home with Juanita Bynum rounded it out three. Donald Lawrence's Big Year Donald Lawrence started 2006 off with six Stellar awards, and finished it with nominations for eight. In between, his Tri-City Singers Finale spent 18 weeks atop Gospel radio charts, everyone was singing "Blessing of Abraham", he saw the launch of his QuietWater Entertainment under the Verity umbrella with his first artist, DeWayne Woods and When Singers Meet, produced on the Coko album, plus spent considerable time on tour. Keeping Up With Tonéx All in one year announced retirement, lawsuit drama, late-year re-emergence with his label NUREAU iNK LLC and MySpace prominence. New Tech Impact Everyone and their uncle went on MySpace.com in 2006. That includes all your favorite artists, and your favorite website too! (http://www.myspace.com/therealgospelflava) Evidence that this grassroots thing is firmly grounded can be found on the back of nearly everyone CD release, where you'll find the artists' MySpace site listed. iTunes also continued to contribute to Gospel exposure, with a growing number of artists and labels establishing their presence in that format. Everybody's Hero With the success of Kirk Franklin's Hero project, and subsequent Hero Tour, it seems that everyone had Hero this year. Major success for Franklin's first venture on his Fo Yo Soul Entertainment brand. Continuation of Gospel's New Kids 2006 demonstrated that Gospel's new kids may have transitioned from new to established. There was continued success for soulster Smokie Norful with his junior project Life Changing, and critial acclaim for Men of Standard's Sony debut. Gone Home Several members of the Gospel community went home to Glory in 2006. Included in this list were Lou Rawls, Dr. Charles Fold, Tyscot artist Chris Jones, Mattie Bowman (mother of Vickie Winans), Tyscot co-founder Craig Tyson, Roy "Mr. Malaco" Wooten, Billy Preston and Gospel promoter and entrepreneur Dan Underwood. 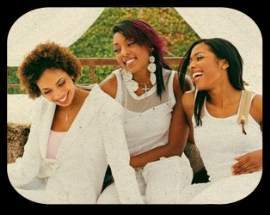 Retired After a long career, sister trio Out of Eden officially laid down their mics in 2006. Sean Grant, original member of 21:03, also retired from the Gospel side of singing, shortly after the group's debut hit store shelves. Independents Keep It Strong It's wasn't only the big guns who were firing off hit records in 2006. Independents also came on strong, with Flow Records (Juanita Bynum), JDI Records (Norman Hutchins, DeNetria Champ), Emtro Gospel (Youth for Christ), Tyscot (Lucinda Moore), Motor City Praise Records (Prenestine Williams-Porter) and Jordan Entertainment (Izzy, Tony Terry) making impressive showings. New Signings The following artists each found new label homes in 2006: Vanessa Bell Armstrong (EMI Gospel), Beverley Crawford (JDI Records), Anointed Pace Sisters (Tyscot), Shirley Murdock (Tyscot), Lexi (Tyscot), Carmen (Tyscot), Montrel Darrett (Comin' Atcha), Bruce Parham (Emtro).